BACK AGAIN! 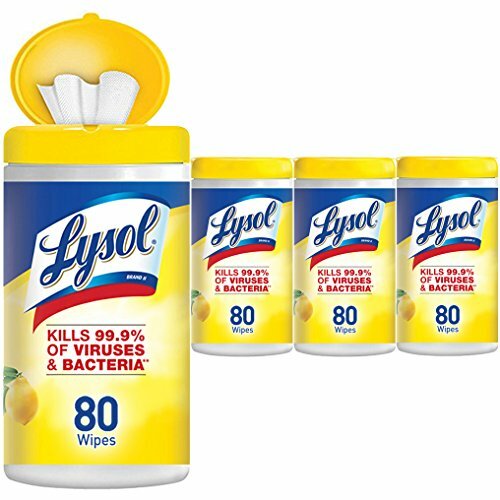 Mega Hot Price on Lysol Wipes! FREE Rush Shipping! Grab the extra 20% off coupon for the best price! Lysol Disinfecting Wipes can be used as a convenient way to clean and disinfect your household surfaces. Each pre-moistened disposable wipe kills germs** wherever you use it, even suitable to use on wood. No bottles, no sponges, no mess. **Kills Salmonella Enterica (Salmonella), Influenza A Virus Herpes Simplex Virus Type 1 and Respiratory Syncytial Virus on hard, non porous surfaces in 10 minutes. Kills 99.9% of Viruses and Bacteria. Removes more than 95% of allergens (Pet Dander, Dust Mite Debris and Pollen Particles). Lysol Disninfecting Wipes are also safe to use on electronics including Smartphones, Tablets and Remote Controls. FREE Barcode Scanner! + FREE Gift Cards, Keurigs & CASH! FREE 4X6 Personalized Photo Magnet!